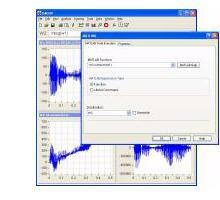 MATLINK provides a simple interface for executing MATLAB (1) code directly from DADiSP. Any MATLAB function or script can be processed just as if it were a native DADiSP function. No need to rewrite code or manipulate temporary data files. 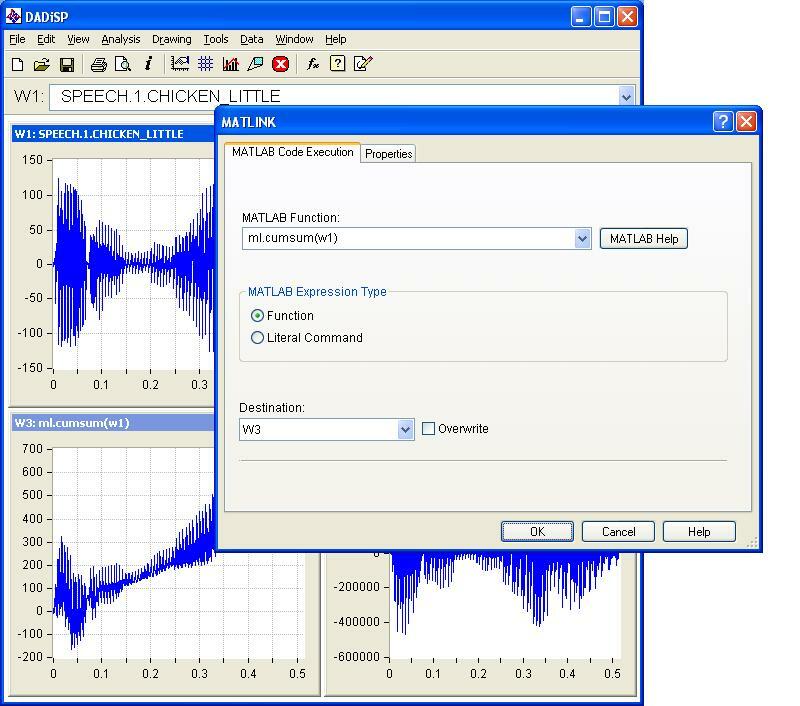 MATLINK combines the functionality of existing MATLAB programs with the ease and power of the DADiSP Worksheet environment. Series, arrays, scalars and strings are exchanged seamlessly. Series and array results returned from MATLAB plot automatically in DADiSP. MATLAB code embedded into a Worksheet Window formula is hot linked and automatically re-executes when the Window updates.